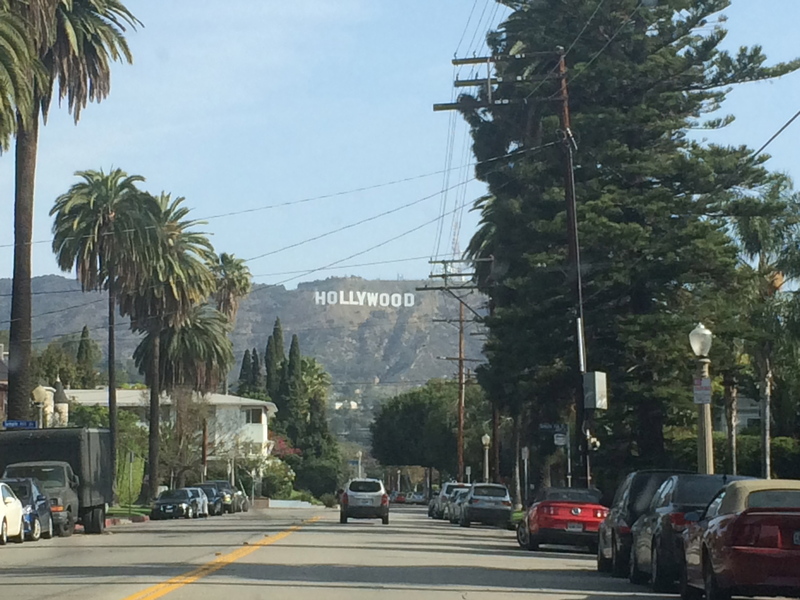 Years and Years of watching American movies and series, I’ve always seen this famous 9 letters sign on a big green hill, with tall palm trees filled up the side of the road which lead to the one and only….HOLLYWOOD hills! Growing up in Bangkok, another ‘City of Angel,’ which is on a completely opposite side of the world, I can only see this famous sign on TV, phones or computer screens. And that’s pretty much it. On a 2D Flat screen. Only sense I used? The eyes to see. 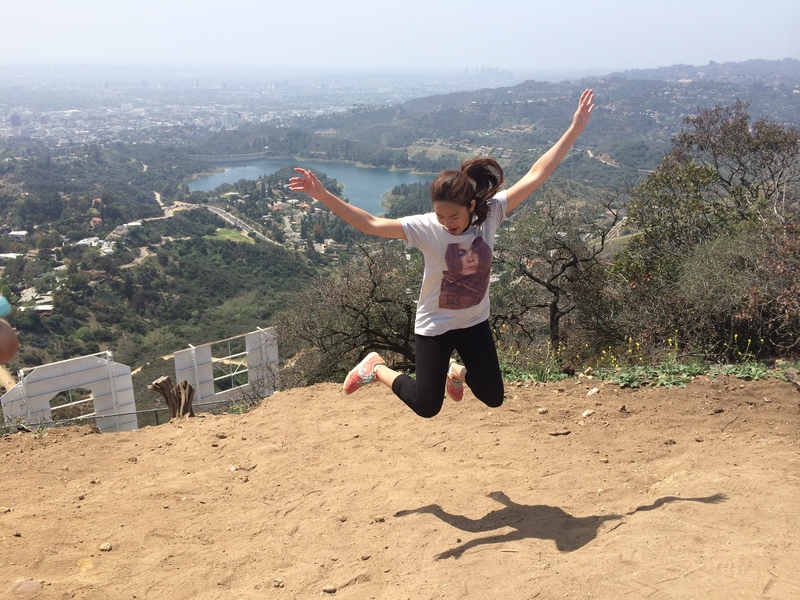 Hollywood has been in my bucket list since forever, and I’m sure it’s in many of yours too. But what do people really mean when they said they wanna come to this popular city? Hollywood walk of fame? Beverly hills? The studios? Meeting Hollywood stars? I’d say ALL! Haha always everything! But the highlight for me? 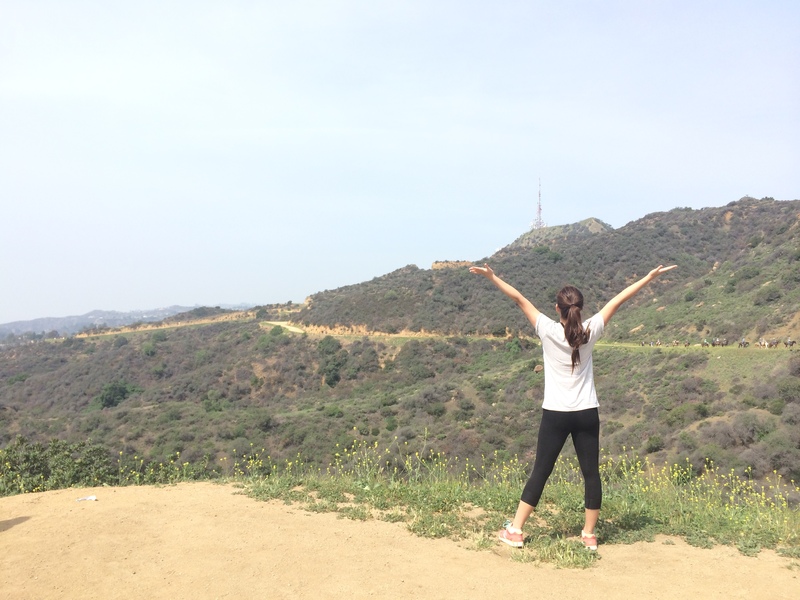 To reach to the top of the Hollywood hills! The day started off with me and friends woke up not too early, to be fully charged. (Lies, we couldn’t get up early ‘cause we slept late last night) I know the hike would be a long one but I cannot imagine at all what I’ll be going through physically and emotionally. All I know, I am super duper hyped for this memorable event of my life! ‘Where are we?’ I asked my friends, as we couldn’t find the right place to start our hiking trail. A quote came to mind. ‘Not all those who wander are lost.’ And it’s so true. We came to the wrong side of the hill, but what was in front of me already took my breath away. 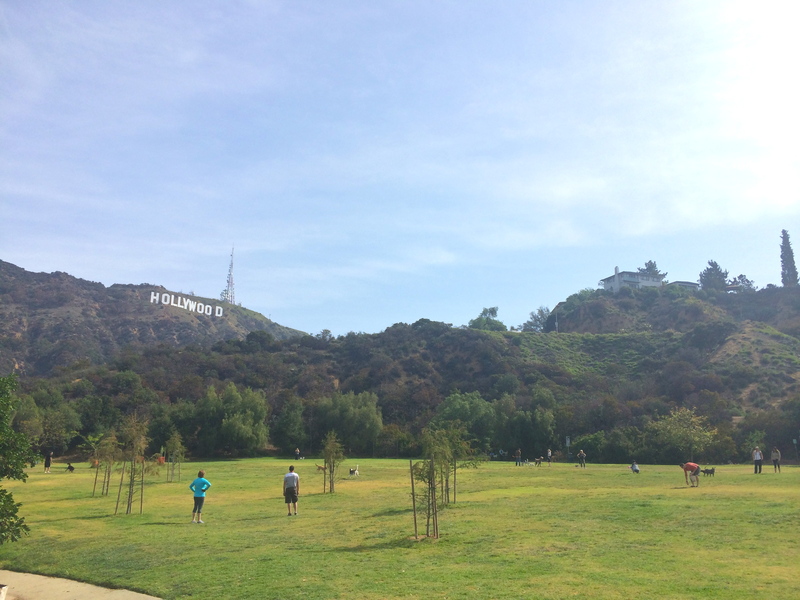 It was a dog park with the back view of Hollywood sign. The dogs run around, dogs play with owners, dogs play with dogs, human chit chatting catching up. There are so many kind of dogs, like a parade; big, small, hairy, furry, cute, scary, (is that really a dog?). 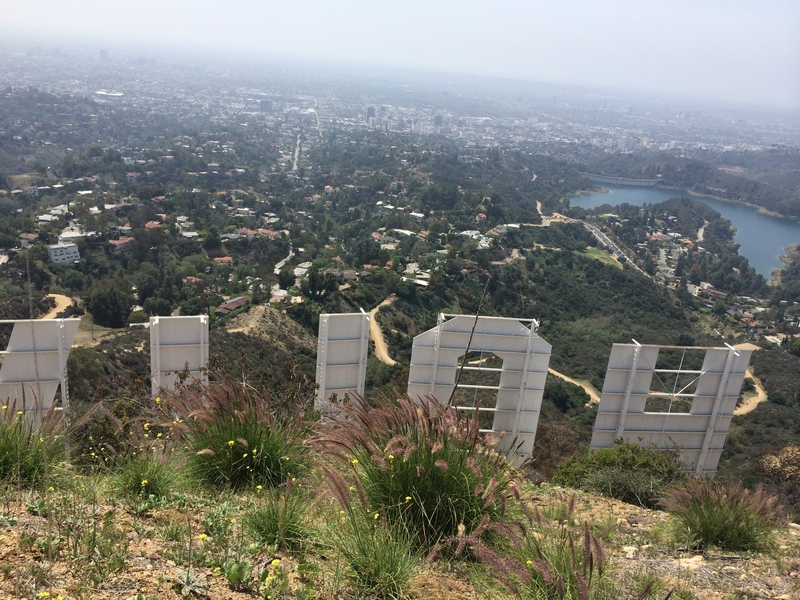 The view was so spectacular, the ambience was homey, like taking the dog to walk in the park, but with a ‘minor’ difference that you can see the Hollywood sign behind. I surely didn’t want to leave. Let the Journey begins! As we reach our first designated destination of the day- the parking lot. My digestive system decided to work up so well that I needed a private room for her just right before we started to hike. Precaution #1 do your business at any toilet in the world except at the start of any hiking trails. The stuff I’ve seen. Oh my poor little eyes. I decided to hold it no matter how much I needed it. 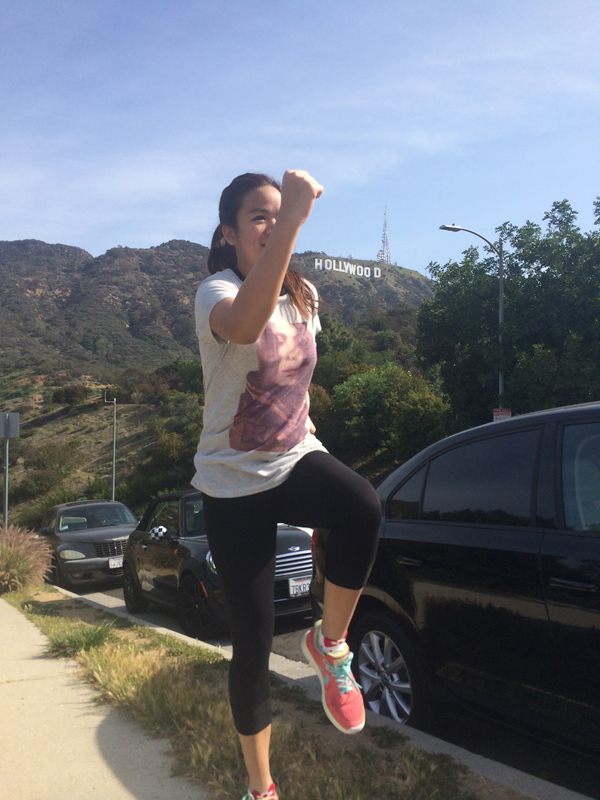 I’m going to Hollywood sign and nothing will ruin this moment for me!! Along the hike, I got to observe so much about the American culture- how much they love their dogs. It was such a long hot walk, and I see these people hiking with their dogs got me thinking, woah… these dogs are fitter than me? Some dogs wore socks, some dogs are all muscley and ready to conquer the hills. Man, oh man, at this point I questioned myself can I really reach to the top? As I tried to think of something else to get my mind off the exhaustion, I saw people riding on horses. It was like seeing a light at the end of the tunnel with a bling bling sound. Wouldn’t it be cool to ride the horse to the top? You won’t get exhausted. You get to just sit, relax and observe the view… but No. The hike is all about the experience. The walk. The heat. The burn. The sweat. 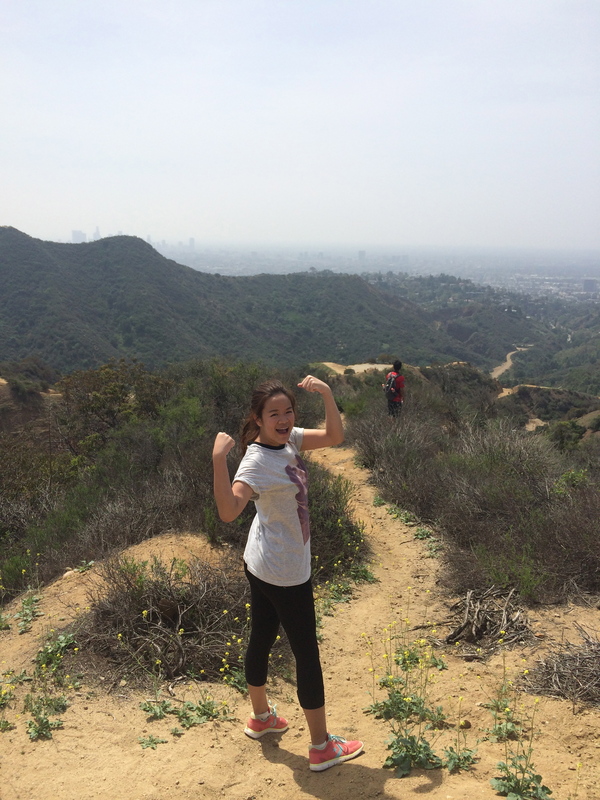 I should hike as long as I’m still young and able! Today I hike. Tomorrow I may sit. Each way to get to the top has a different perspective. 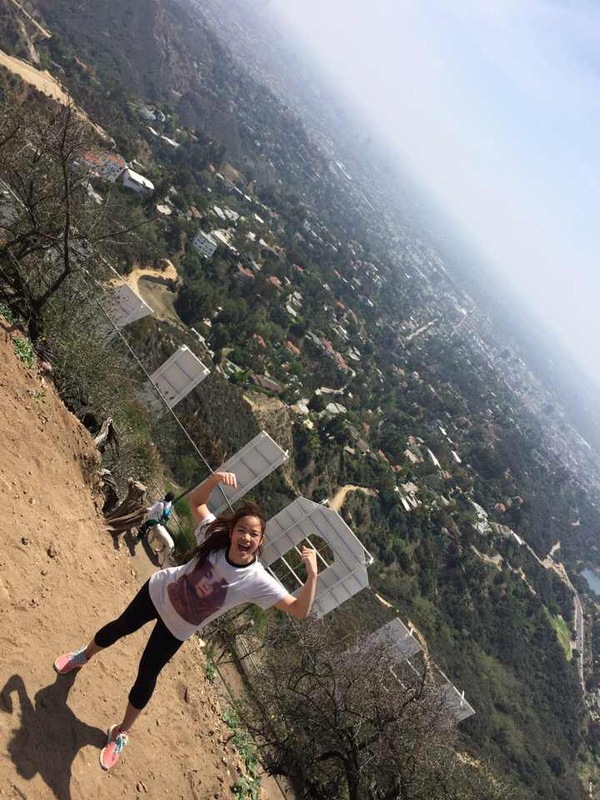 Holllllaaaaa Hollywoood! As we reached the last turn to the top of the hills. The exhaustion turned into excitement. 2 hours of sweating and facing the sun. Its finally here. The view that I’m seeing, It’s like the world stood still, with breezy winds passing through my face. 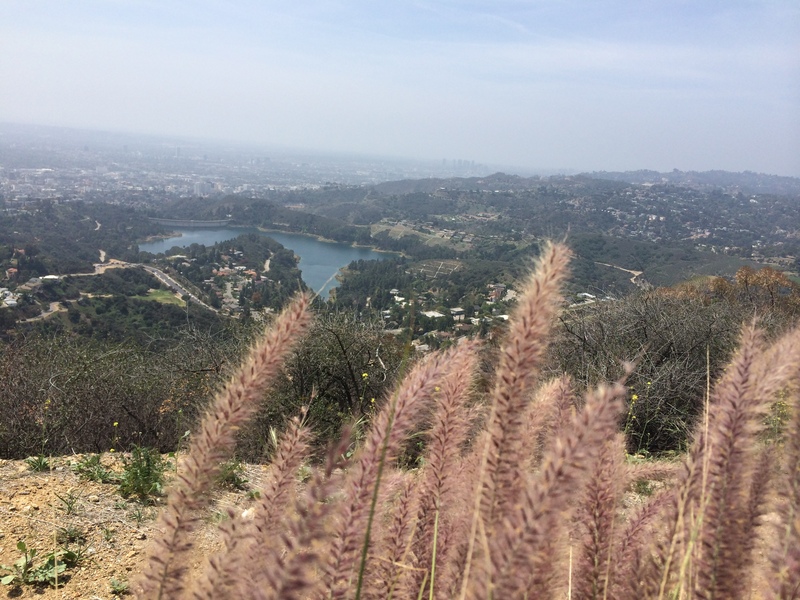 The city, the nature, the Hollywood reservoir right in front of me. I’m up close and personal with the famous Hollywood sign. The sign that I’ve been seeing through the movie theatre,TV, phones and computers. No more! I’m here. It’s so close. It’s so real. It’s not just the eyes that can feel it anymore. The sound, the smell, the feet touching the grounds but the best of all – The heart. Love the photos! You look so happy! This looks like it was fun!